Mmmmmm, hummus. A staple we never get tired of. I learned to make this dish 35 years ago while living in Washington from my Lebanese neighbor Fifi. Serve with crackers, pita, flat bread or assorted veggies. Great on a sandwich with avocado, tomato and sprouts! Use to stuff grilled portobello mushrooms, or as a replacement for mayo or dressing in a pasta salad. Be creative! 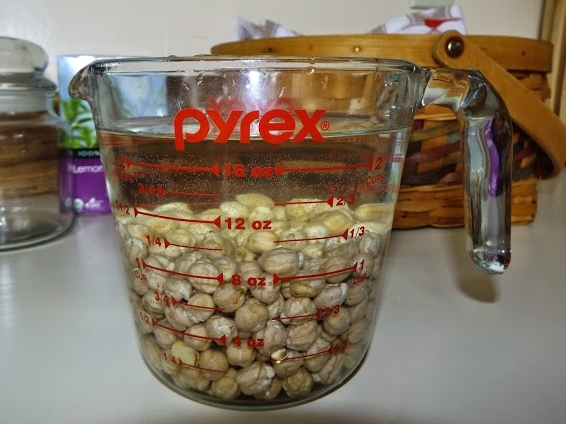 6 Tbls water (added 1 Tbls at a time)Soak chick peas over night in water with baking soda. Drain, rinse. In fresh water bring to a boil and turn down to med/low, cooking for 1 hour till chick peas feel soft when squeezed between your fingers. 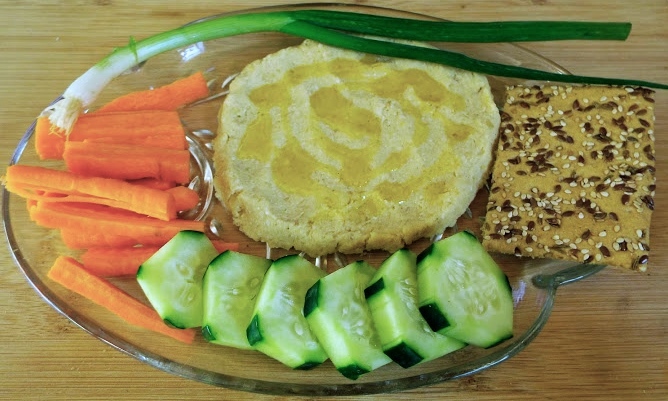 While chick peas cook make homemade tahini paste with 1/4 c sesame seeds and 2 tsp sesame seed oil. 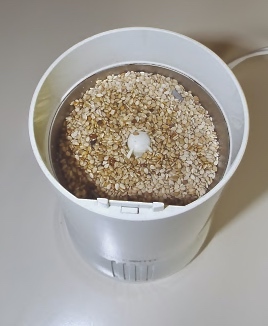 I use my coffee grinder, scraping down the sides of the machine as needed. Next, drain chick peas when soft. 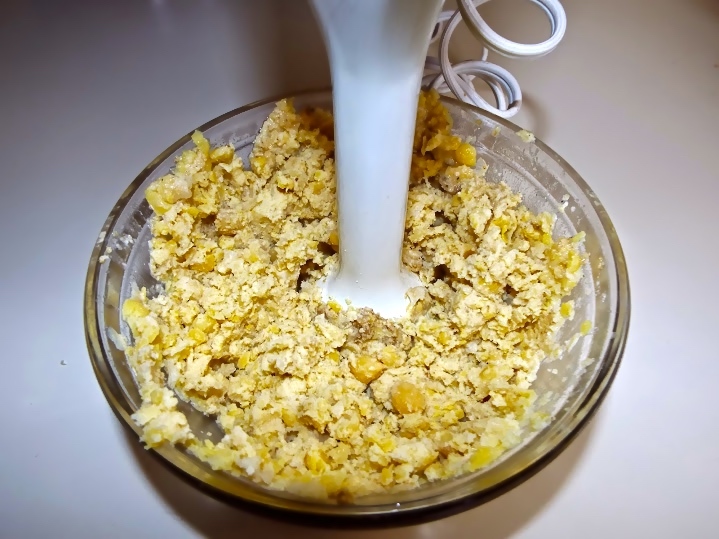 Blend chick peas, lemon juice, minced garlic, olive oil, and salt, adding water 1 Tbl at a time to a smooth consistency. I use an immersion blender to whip this quick dish. I like my hummus thick. More oil and/or water can be added for a thinner consistency. This dish is traditionally served spread on a platter with a drizzle of olive oil, and sprinkled with spices of your choice (cayenne pepper, cumin or smoky paprika).